ful. High season, from June toAugust, is the most expen sive, crowded and hottest time to visit, but the summer arts and music festivals are highlights in the city’s cultural calendar. LateNovember until March or April can be damp and dreary. the sights in peace. As well as arts and sporting events, several public holidays and religious festivals punctuate the year. It is wise to be aware of these when planning an itinerary as some sights may be closed or else crammed with locals enjoying a day out. Some of these celebrations are also fascinating spectacles in their own right. As the winter smog fades and sunshine increases, cafés and restaurants prepare for the first wave of alfresco dining. After a winter’s diet of apples and oranges, a welcome crop of spring fruits, including fresh figs, strawberries and tart green plums, arrives in the shops. Toasted sweetcorn is sold from carts, and a spring catch of sea bream, sea bass and turbot is on the menu. Tulips, hyacinths, daffodils and pansies fill parks and gardens, and the distinctive pink buds of the Judas tree are seen along the Bosphorus. Monuments and museums are generally uncrowded in spring, and discounts are available at many hotels. In May the popular son et lumière shows outside the Blue Mosque begin and continue until September. Festival (late March–mid-April), selected cinemas. Screening of Turkish and foreign films and related events. 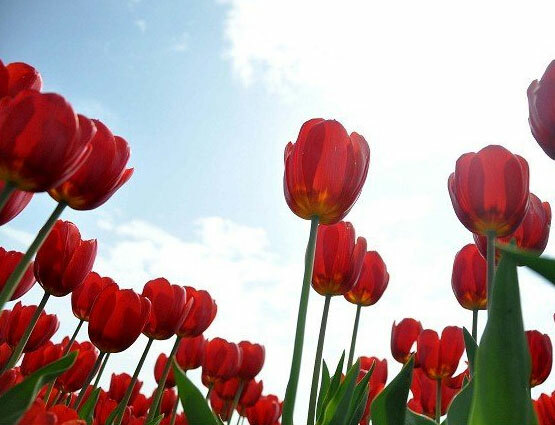 Tulip Festival (April), Emirgan Park. Displays of springtime blooms. National Sovereignty Day (23April). Public holiday marking the inauguration of theTurkishRepublic in 1923. Children take to the streets in folk costume. Gallipoli. Britons, Australians and New Zealanders gather at the location of theAnzac landings at Gallipoli during World War I. Spring Day and Workers’ Day(1 May). Unofficial public holiday when workers usually attend union-organized rallies. Kakava Festival (early May), Edirne. Acelebration of gypsy A music and dance. Youth and Sports Day(19 May). Public holiday in commemoration of the start of the War of Independence in 1919, with sporting events and other activities held throughout the city in stadiums and on the streets. International Istanbul Theatre Festival (May–June), various venues. European and Turkish productions. Conquest of Istanbul (29 May), between Tophane and Karaköy and on the shores of the upper Bosphorus. Mehmet theConqueror’s taking of the city in 1453 is reenacted in street parades and mock battles. In contrast to an all-too-brief spring, the warm weather and clear skies of summer can linger on in Istanbul until November. In July and August temperatures soar and although luxury hotels have air conditioning, cheaper ones do not. Popular sights are packed with tourists throughout the high season. Picturesque locations outside Istanbul may, on the other hand, be overrun by locals. At weekends city dwellers trek out to the Belgrade Forest and Black Sea beaches or to health clubs along the Bosphorus. Those who can afford it flee to their coastal summer homes until autumn. For those who stay behind there is a strong summer culture. This includes a wild nightlife in hundreds of bars and night spots, and enthusiastic support for many arts festivals, which attract world-famous performers. time of year for outdoor sports such as hiking, horse-riding, water sports, golf and parachuting. Silk Market(June–July), Bursa. Special market for the sale of silk cocoons. performed in historic locations. Mozart’sAbduction from the Seraglioisstaged annually in Topkapı Palace. Bursa Festival (June–July), Bursa Park. Music, folk dancing, plays, opera and shadow puppetry. Navy Day(1 July). Parades of old and new boats along theBosphorus. 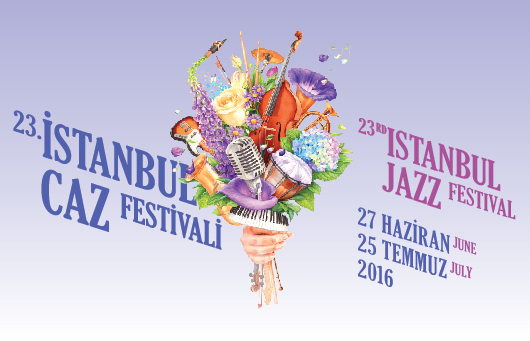 International Istanbul Jazz Festival (July), various venues. International event with a devoted following. International Sailing Races (July). Regatta held at the Marmara Islands. Grease Wrestling(July), Kırkpınar, Edirne. Wrestlers smeared in olive oil grapple with each other. Hunting Festival (3 days, late July), Edirne. Music, art and fishing displays. Folklore and Music Festival (late July), Bursa. Ethnic dances and crafts displays. Victory Day(30 August). Public holiday commemorating victory over Greece in 1922. Residents of Istanbul often consider their city to be at its best in autumn. As the summer heat loses its grip, chestnut sellers appear on the streets, pumpkins are sold in the markets, and fresh figs are eaten in abundance. In the surrounding countryside, cotton, wheat and sunflowers are harvested. Migratory grouper and bonito are among the tastiest types of fish which are caught at this time of year. A popular beauty spot for its array of autumn colours is Lake Abant, 200 km (125 miles) east of Istanbul. Meanwhile, bird-watchers converge on the hills overlooking the Bosphorus to view great flocks of migratory birds head- ing for their warm wintering grounds in Africa. Tüyap Arts Fair(September), opposite the Pera Palas Hotel. A showcase of Istanbul’s artistic talent. Yapı Kredi Festival (September), various venues. A celebration of music and dance promoting young performers. Republic Day (29 October) Public holiday commemorat ing Atatürk’s proclamation of the Republic in 1923. The Turkish flag adorns buildings in the city. Akbank JazzFestival (October), various venues. Jazz music. local avant-garde artists exhibit work in historic locations such as Haghia Eirene and the Imperial Mint , and the Basilica Cistern. Anniversary of Death(10 November). A minute’s silence is observed at 9:05am, the precise time of Atatürk’s death in Dolmabahçe Palace in 1938. 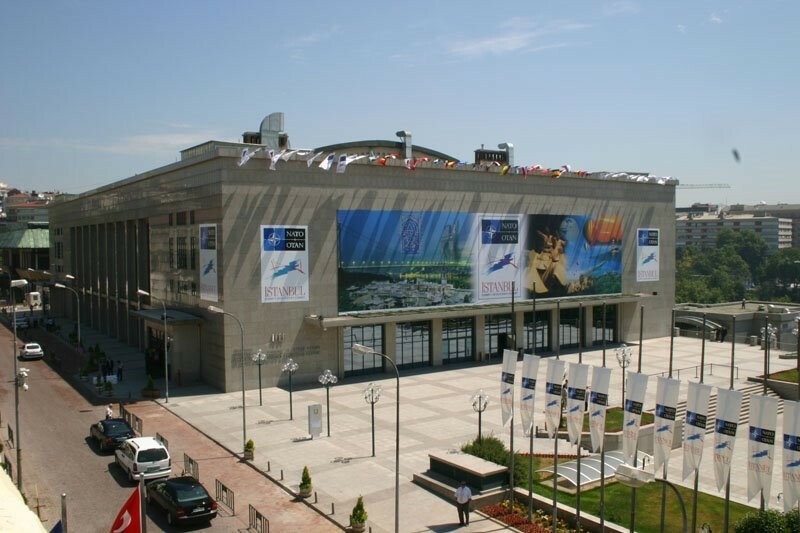 Tüyap Book Fair(October), Belikduzu Fair and Congress Centre. Istanbul’s premier publishing event showcases prominent writers. music venues throughout the city. antique dealers display upmarket wares in this popular annual show. Elit’s Küsav Antiques Fair (mid-November), Military Museum. Sale of local and foreign paintings, furniture, carpets, maps, books, porcelain, textiles, silver, clocks and bronze statuary. There are distinct bonuses to visiting Istanbul in the winter, when even major sights are uncrowded, although the rain, fog and pollution may be off- putting. Shops in the Akmerkez, Galleria, Capitol and Carousel malls hold sales, making the city a shopper’s paradise for leather, woollens and fashion. one of Turkey’s most important winter sports resorts. Meanwhile, tea with baklava and cream cakes is consumed in the cosy cafés along the Bosphorus and in the old quarter of Beyoğlu. special dances in honour of the founder of the famous Whirling Dervishes. Christmas (late December). Though Christmas Day is not a public holiday, major hotels organize seasonal festivities. NewYear’s Day (1 January). Public holiday incorporating European Christmas traditions including eating turkey, decorating trees and partying. Strings of lights adorn the main roads. stations and the UludağSki Instructors’ Association. packed. Strict Muslims also observe the festivals of Regaip Kandili, Miraç Kandili,Berat Kandili andMevlid-i-Nebi. Istanbul was founded in the 7th century BC on a naturally defensive site from which trade along the Bosphorus could be controlled. For 16 centuries it was a great imperial capital, first of the Byzantine Empire and then of the Ottoman sultans. Some knowledge of the histories of these two civilizations helps the visitor to appreciate the magnificent monuments found throughout the city. and olive oil north from the Mediterranean, and grain, skins, wool, timber, wax, honey, salted meat and salted fish south from regions around the Black Sea. The area around the Bosphorus was subjugated by a series of peoples, starting with the Mycenaeans (1400– 1200BC). Between 800 and 680 BC the region was controlled by the kingdom of Phrygia. Later, in 676 BC, Greek expeditionaries founded the city of Chalcedon (on the site where modern Kadıköy now stands). The foundation of Istanbul is usually dated to 667 BC when, according to legend, a Greek colonist, Byzas, led an expedition from the overcrowded cities of Athens and Megara to establish a colony on the European side of the Bosphorus. This colony, known as Byzantion, grew to be a successful independent city-state, or polis, one of the 40 most important such states throughout the Ancient Greek world. During the next few centuries, Byzantion worked in partnership with Chalcedon, using the same coinage and sharing the tolls exacted from passing sea trade. But Byzantion had to struggle to maintain its independence in the mercurial politics of the ancient world. It endured Lydian (560–546 BC), Persian (546–478 BC), Athenian (478–411BC) and Macedonian (334– 281BC) rule before briefly regaining its autonomy. In 64 BC it was subsumed into the RomanEmpire as Byzantium. The city was almost destroyed in AD 195 bySeptimius Severus because of its support for his rival for the imperial throne, Pescennius Niger. It survived the Goths’ devastation of Chalcedon in AD 258 but trade in the region dramatically declined in the following years. Istanbul is a frenetic city with a wealth of culture, history and nightlife. Split in two by the Bosphorous Strait, it is the only city in the world to straddle two continents, Europe and Asia, and thus has two contrasting atmospheres. These itineraries are designed to give you a flavour of the city as a whole. All the sights are crossreferenced to the rest of the guide, so you can look up more information and tailor the day to suit your needs. Price guides include meals, transport and admission fees. TheSpice Bazaar is a riot of colour, stalls and smells, where you can buy any number of exotic foodstuffs, including handmadeTurkish delight and creamy goats’ cheese. From here, head up to the bustling Grand Bazaar, a labyrinthine Ottoman shopping complex housing thousands of leather, rug, ceramics and jewellery shops. Prices are inflated and price tags often absent altogether so remember to bargain. All this shopping is bound to whet your appetite, so head for the waterfront district of Kumpkapı, where you will find more than 50 fish restaurants vying for your attention. Again, many outlets do not display prices, so ask before you order. Afternoon Revived and restored, take a taxi to the GalataBridge and stroll over to trendy Tünel and Beyoğlu, soaking up the view as you go. Take time to browse around the cosy cafés and bars in Tünel, before making your way up İstiklâl Cadessi to shop for clothes, shoes, books and music. Further up, the district of Çukurcuma is a hunting ground for antique furniture and ornaments. NevizadeSokak, just off İstiklâl Cadessi, is a narrow street lined with dozens of meyhanes. The area really comes alive at night, when hundreds of locals flock here and passers-by are serenaded by traditional musicians. museum showcasing photographs of Atatürk, the great Turkish leader of the early 20th century, and the wars in Gallipoli. When you get hungry, head to Miniatürk’s attractive café-restaurant that overlooks the Golden Horn. Head back to Istanbul after lunch and hop on a boat bound for the island of Büyükada, one of the nine that make up the Princes’ Islands 99. It is a one-and-a-half hour trip from the docks at Eminönü, so there is plenty of time to admire the view as Istanbul recedes on the horizon. Once you have landed, stroll around the main square of Saat Meydani or take a horse-drawn carriage ride around the island. Climb the hill toSt George’s Monastery for panoramic views and a meal at the hilltop restaurant. Museum of Turkish and Islamic Arts, which has a wonderful collection of glass and metalwork, carpets and manuscripts from down the centuries, as well as modern art from Turkey and overseas. Head toYesil Ev YY for lunch, a lovely Ottoman style restaurant between the museum and Topkapı Palace, serving traditional fare. is one of the finest. Arnavutköy on the Bosphorous. There are some lovingly restored Ottoman houses and mansions to admire here, most of them painted in pastel shades and trimmed with intricate wooden fretwork. Cafés line the back streets, so sit and linger over a coffee and a pastry. From Arnavutköy, continue walking northwards, past the fishing boats and pleasure cruisers bobbing on the water, until you reach Bebek, one of Istanbul’s most affluent villages. There are more than enough chic clothes and antiques shops here to tempt visitors to part with their cash and work up an appetite for lunch. Dine in style at thePoseidon. Here you can sip an aperitif and enjoy the splendid view before savouring the menu of fresh fish. Delve into history at the imposingFortress of Europe, built in the 15th century as part of the Muslim conquest of Constantinople. There is also a fantastic view of the Bosphorus from here. Afterwards, walk around the delightful 19th-century pavilions of nearby Emirgan Park with its hundreds of pine, fir and cypress trees and an ornamental lake. mosques, after the plethora in Istanbul I’ve selected my favorite ones—plus some unusual spots. START: Hürriyet Meydani. lovely exhibits of this important traditional sporting event, held just outside the city center. If closed, at least the gardens give you a taster, with noble statues of past başpehlivans (head wrestlers) and aga(wealthy benefactors) of this ancient sport. its former glory. @10 min. Southern end of Maarif Caddesi. bridge over the Maritza River. Completed in 1847, the 263-metre-long stone bridge with 12 pointed arches also has drainage ports in the pedestals to prevent flooding, which destroyed the previous wooden bridge. Pop into the tiny marble lodge around halfway along, with decorative landscape scenes painted on the ceiling. If you don’t want to walk back the same way, pick up a minibus near Protokol Evi after your coffee break—it’s about a 20-minute walk to Makedonya Kulesi. The café by the bridge is in a newly restored house owned by the local council. Take a table at the terrace’s edge for a peaceful and perfect view of the river, perfect for coffee and breakfast, or soup and salads. Kopru Basi, Lozan Caddesi. 0284 2233 282. $. times, containing the remains of a tenth-century Byzantine church and fresco, plus late-Roman pottery ovens. (Hopefully one of the official guides will be present to point these out.) For me the highlights, albeit grizzly, are the fragments of Ottoman human bones—includingparts of a skull—embedded in the south wall, mainly covered by foliage, which marks the cemetery. The Roman wall used no cement and still has the rivets marking where iron bars were used to connect it. A fantastic discovery. 45 min. Mumcular Sokak. Daily 8.30am–8pm; free. 6- Eski Camii (Old Mosque). ter. Look out for the small piece of stone from Mecca encased in glass, on the wall near the minbar (pulpit), and the marble gate on your way out. To the left of the mosque, near the cafés, is a statueof pehlivans (wrestlers) an Edirne emblem. 30 min. Corner of Talatpasa Asfalti & Londra Asfalti. Open daily from dawn till nightfall. Like many shopping areas built around a mosque, this covered market was commissioned to bring in revenue for Selimiye Camii. These days it’s not so much the produce (think baskets of fruit-shaped soap and fridge magnets) but the layout, with 73 arches, which take you back centuries. When you see piles of cheap shoes, remember that part of this market was the ‘ready-made ShoeMakers’ Bazaar’, as recorded by Evliya Çelebi (1611–1682), the famous Ottoman writer and traveler. In those days (perhaps before fridge magnets?) stall holders swore an oath under the prayer dome of the mosque that their transactions would be honest. I hope they’re as honest today. Selimiye Camii complex. Daily 9am–nightfall; free. 8- Selimiye Vakif Müzesi (Selimiye Foundation Museum). of inlaid wood, you’ll love the 18th century wooden Koran stands and tables inlaid with mother-of-pearl. If you walk around the museum anticlockwise, you end up at the Koran room, with realistic life-size models of a Koran class and ornate 15th century wooden doors from Beyazit Camii (see Ch 3, p 84). Relax with tea in the central garden. 1 hr. Selimiye Kulliyesi, Sarul Kurra Medressi. 0284 212 1133. Admission free. Open daily 8.30am–5.30pm. at the ornately carved marble minbar (pulpit) with tiled top, plus the use of gold, exquisite Iznik tiles and mother-of-pearl throughout. 1 hr. Mimar Sinan Caddesi. Admission free. Open daily sunrisenightfall; no entry at prayer time. Maarif Caddesi. 0284 212 0550.
a day in advance to get a good seat. On reaching Edirne otogar, ask for a dolmuş (minibus) to Hurriyet Meydani or Selimiye Camii. A good option for a full-day trip would depart Istanbul on the 7am Ulusoy service, returning on Volkanat 9.30pm or later. Buy your return ticket when arriving at Edirne otogar unless it’s high season. 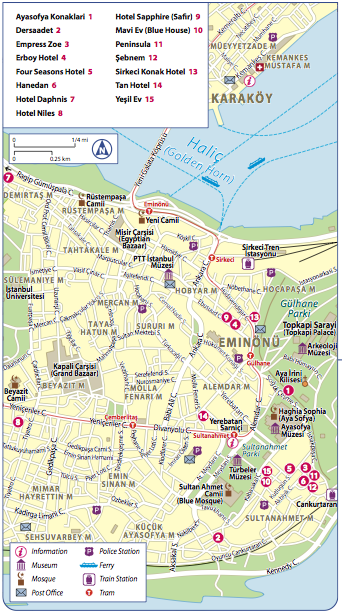 Edirne Tourist Office, 17 Hürriyet Meydani (0284 213 9208) has helpful staff, maps, and leaflets. As with all mosques, visitors should cover arms and legs; women must also cover their hair. when Ottoman troops returned from conquest, modern-day wrestlers (pehlivans) compete in heavy leather breeches, their bodies doused in olive oil. The three-day tournament takes place a few miles outside the center at Kaleiçi, complete with traditional music, excitable crowds, and a spirit of genuine humility, tradition, and ceremony. The winner of each level (determined by weight) wins cash prizes, with the heavyweight (baspehlivan) also winning a gold belt. Kirkpinar Festival is popular so if you’re staying overnight, book your hotel weeks ahead, and bus tickets in good time. This group of islands off Istanbul’s southeast coast has enjoyed a colorful history: Summer houses for Istanbul’s elite, haven for Jewish, Greek, and Armenian minorities and exile for ‘White Russians’ in the 1940s. These days, locals flock here in summer for day trips of cycling, swimming, and car-free exploring—a blissful novelty after congested Istanbul. It’s impossible to cover all nine islands in a day, so here’s an energetic day divided between the two largest, Heybeliada and Büyükada. On each, you can walk, cycle, or hire a phaeton (horse and trap), depending on mood and energy levels. Stick to weekdays if you want to avoid the crowds. START: Heybeliada ferry pier. 1- Deniz Lisesi (Naval High School). 1852, it’s been a high school since 1985, and the white façade makes a striking sight. It is closed to the pub- lic and uniformed cadets on patrol will prevent you taking photographs close up. Heybeliada Iskele. pier for the rank. Belediye Meydani, Ayyildiz Caddesi. Service: Sun 9–11am. 4- Cam Limani (Cam Bay). you pass Deniz Lisesi1on your right, and the ferry pier, from where you sail to Büyükada. 5- Büyükada Iskele (Büyükada Quay). After a 15 minute journey, ferries arrive at Büyükada’s(Big Island) striking quay. Hang back to admire the tiling on the upper front façade of the terminal. Built in 1914, this replaced the wooden quay built in 1899, and was used as the island’s first movie hall between 1950-51. Its octagonal hall still stands, from where you can try to get a map of the island from the (rarely open) tourist office. 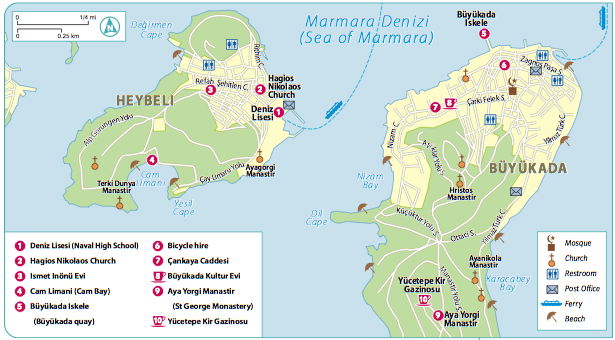 If you prefer to explore the island on two wheels, head to the small collection of bicycle hire shops on Çinar Caddesi,with kids’ bikes and tandems also available. Marmara Bisiklet, 10 Çinar Caddesi. 0216 382 5896. Approx 2 TL/hr; 7 TL/day. If walking up to Aya Yorgi (St George’s) Monastery, a long but rewarding hour’s walk, I recommend taking the longer but more picturesque route along Çankaya Caddesi. Lined with grandiose wooden mansions, its previous residents included Ottoman diplomats, painters, princes, and lawyers, and allegedly Leon Trotsky. My favorite is #44, an ageing white mansion, now headquarters of the Kaymakam(district governor). The façade needs sprucing up, but it’s a highlight of the street’s grandeur and, as a public building, you can approach the main entrance for a closer look. With a 50-year-old phaeton in the garden, this mansion has been converted into a cultural center, housing exhibitions and summer concerts. Build up your strength with tea and snacks on the terrace for the big walk ahead. 21 Çankaya Cad. 0216 382 8620. $$. 9- Aya Yorgi Manastir (St George Monastery). You may opt for a phaeton for this long uphill route, although the walk is fantastic. Steel yourself for the final, steepest mile on a rough cobbled track, or hire a donkey at the bottom (bargaining essential). On your way up you’ll pass bushes on the left with strips of fabric attached, each representing a prayer, usually from women wishing for a child. The bell tower is your first glimpse, before you pass through the tiny courtyard (where women should don headcovering and cover legs). The wishes theme continues inside the sixth-century monastery’s silent, remote interior. On the right, you’ll see a large glass container into which people place their written prayers. If you’re surprised to see so many locals making wishes, bear in mind that people of all religions believed (and still do) that the highly revered St George performed miracles. Thousands of worshippers make the trip for the auspicious days of 23 April and 24 September, when all wishes are thought to come true. It’s your decision if youwant to brave the crowds totryit out! 1 hr. Yüce Tepe. Admission free. Open daily 9.30am-6pm. This simple restaurant adjacent to the monastery is perfect for its hilltop terrace with panoramas of other Prince’s Islands. Good-value mezes, kebabs, fried eggplant with yoghurt, and beers make this a fantastic refueling spot.Yüce Tepe. 0216 382 1333. $$. or along the sides of the boat, and simple refreshments are served on board. Buy a jeton (token) before boarding, or use your akbil (see Getting Aroundp 164); single journeys cost about 1.50–2.50 TL. Built in a century-old building in a great neighborhood, chic Zen rooms with kitchenette, sofa and writing desk make Ansen great value. Rooms are spacious, each with huge plasma TV, Wi-Fi, and power shower, all in contemporary, minimalist style. A good central choice for business travelers. Breakfast is not available, but plenty of cafes nearby. 70 Meşrutiyet Cad. 0212 245 8808. www.ansensuites.com. 10 units. Doubles 200–500 exc b/fast. AE, MC, V. All buses from Taksim. Far from sightseeing and nightlife, this is one for asecluded romantic break. Perched on the Asian side of the Bosphorus, all rooms have stunning sea views (some with private balcony) and an uncluttered feel with wooden floors, white furnishings and contemporary art. The terrace is, of course, to die for; good modern European dining. Ahmet Rasim Pasha Mansion, 27 Çubuklu Cad. 0216 413 9300. www.ajiahotel.com. 16 units. Doubles 280–700. AE, MC, V. Tram: Beyazit. Looking decades old, these nine wooden houses are a recent clever rebuilding project. The cobbled pedestrian street (see p 73) behind Haghia Sophia houses 64 rooms with tasteful Ottoman-style décor, including small Turkish bath in the Pasha Suite. Most rooms are without TV. The street-side rooms have lovely views, and breakfast is served on one of three terraces. Sogukçeşme Sokagi. 0212 513 3660. www.ayasofyakonaklari.com. 64 units. Doubles 150–200. MC, V. Tram: Sultanahmet. The bar and entrance ooze faded decadence, especially the chandeliers and Ottoman nick-nacks. Guest rooms aren’t as glamorous—ensure you get a renovated room—but they are ideal for Beyoglu’s nightlife and shopping. Over 100 years old, its kudos heightened when featured in two recent Turkish films. Meşrutiyet Cad. 0212 245 0670. www.londrahotel.net. 54 units. Doubles �50–150. AE, MC, V. Bus: Tepebaşi. wing Top notch (and top dollar), outstanding features include the outdoor ‘infinity’ pool, heated in winter, and the excellent Tugra restaurant. Lottery winners could try the lavish multi-roomed Grand Sultan Suite (35,000). 32 Çiragan Cad. 0212 326 4646. www.kempinski-istanbul.com. 314 units. Doubles from 360. AE, DC, MC, V. Bus: Beşiktaş to Ortaköy. Dersaadet SULTANAHMET This family-run restored Ottoman house in a quiet street has well-kept rooms and great service. Some have bathtub and Bosphorus views, all have flat-screen TVs and wooden floors; the penthouse suite boasts 180°views and Jacuzzi. Breakfast is served on the flowerfilled roof terrace.5 Kapiagasi Sok, off Kucukayasofya Cad. 0212 458 0760. www.hoteldersaadet.com. 17 units. Doubles 115–190. AE, MC, V. Tram: Sultanahment. Room, marble shower in the Sultan’s Room, or circular bed in the Red Room—pure camp. Guests enjoy breakfast around a communal table. Kadribey Çikmasi, off Serdar-I Ekrem Cad. 0212 243 7446. www.eklektikgalata.com. Doubles 95–115. AE, MC, V. Tunnel: Tünel. Stylishly converted from three adjacent townhouses, the hotel has a vast selection of rooms and prices, from standard double to duplex with two bedrooms and kitchen. Cleverly using the original wood and stone, history is retained but all mod cons are included. The tiny garden is a peaceful hideaway for breakfast or evening drinks next to an old hamam. Akbiyik Cad. 0212 518 2504. www.emzoe.com. 25 units. Doubles 110–150 AE, MC, V. Tram: Sultanahmet. Great value and hospitality at this centrally located three-star hotel. Simple, bright rooms have TV and AC, with a large lobby and free Wi-Fi in the communal areas, plus a meeting room. Wonderful Bosphorus views from the roof terrace. 32 Ebussuud Cad. 0212 513 3750. www.erboyhotel.com. 85 units. Doubles �64. AE, MC, V. Tram: Sirkeci. units. Doubles 350–500. AE, DC, MC, V. Tram: Sultanahmet. Making a big impact since opening in May 2008, Istanbul’s second Four Seasons is in a refurbished 19th-century Ottoman palace with a contemporary feel. Mahogany furnishings and hand-painted motifs on the ceilings, modern facilities include huge plasma TVs, DVD players, luxury spa—including indoor and outdoor pools—business center and restaurants. Çiragan Cad. 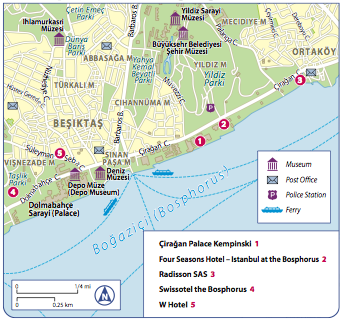 0212 381 4000. www.fourseasons.com/bosphorus. 166 units. Doubles 350–500. AE, DC, MC, V. Bus: Beşiktaş. Refurbished from the Camondo family house (see p 37), these apartments are good value, even the small ones with simple kitchens. Large apartments have two bedrooms plus living room, a good option for families, although it’s off a steep road. Most of the original wooden furnishings remain, with TV and in-room internet enhancing the comfort. Watch out for pricey items in the refrigerators! 2 Felek Sok, off Midilli Sok. 0212 292 4841. www. galataresidence.com. 21 units. Doubles 75–120. AE, MC, V. Tunnel: Tünel. A friendly little guesthouse in a quiet street, no-frills rooms mean dark, wooden floorboards with simple furniture, with fantastic terrace views of the Marmara Sea for your buffet breakfast. For a little extra, some large rooms have a sea view. Free Wi-Fi throughout, but no TV in rooms. (20% discount for online booking.) 3 Adliye Sok, off Akbiyik Cad. 0212 516 4869. www.hanedanhotel.com. 10 units. Doubles �60–80. AE, MC, V. Tram: Sultanahmet. The four adjoining traditional wooden houses, painstakingly restored by its new owner in 1999, have dark-wood floors, plain furnishings and original pale-blue frescos. Some rooms have quaint balconies, although bathrooms are tiny. Fener’s only hotel gets you away from the crowds. 26 Sadrazam Ali Paşa Cad. 0212 531 4858. www.hoteldaphnis.com.16 units. Doubles 90–120. AE, MC, V. Bus or boat: Fener. Tucked away near the Grand Bazaar (see p 96), this gem of a hotel has small and simple rooms and remarkably helpful staff. Great value, especially with the buffet breakfast on the roof terrace, and there’s also a 24-hour café-bar. The spacious and brand-new suites are ideal for families. Dibekli Cami Sok, off Ordu Cad. 0212 517 3239. www.hotelniles.com. 29 units. Doubles 70–80. AE, MC, V. Tram: Beyazit. Fantastic value in a convenient part of town, away from Sultanahmet’s carpet shops but near enough the sights. Simple, light rooms have ornate touches, with flatscreen TV, minibar and small baths. There are also family-friendly large triple rooms, a large ornate lobby, friendly and efficient staff, and free airport transfer with a two-night minimum stay. Ibnikemal Cad. 0212 520 5686. www.hotelsapphire.com. 55 units. Doubles �80. MC, V. Tram: Sirkeci. Opened in 2006, the chic décor in this converted apartment block puts it firmly in the HIP hotel category. Close to Taksim Square (rooms overlooking the street are noisy), rooms come in varying sizes and are uncluttered and light, with natural tones and prints of Beyoglu scenes adorning the walls. Bathrooms have powerful showers. Breakfast is in the elegant 24-hour brasserie, with Wi-Fi throughout and a new spa. 12 Siraselviler Cad. 0212 243 9595. www.lushhiphotel.com. 35 units. Doubles 130–350. AE, MC, V. Bus: Taksim. This restored Ottoman house opposite the Blue Mosque (see p 15; bring earplugs for the dawn call to prayer) is charming, with small, plain rooms and tiny bathrooms, with traditional touches such as brass double beds and wooden floorboards. Ask for a room with views, at no extra cost. 14 Dalbasti Sok. 0212 638 9010. www.bluehouse.com.tr. 27 units. Doubles 160–220. AE, MC, V. Tram: Sultanahment. A good chain choice for business guests in the banking district. Contemporary rooms have extra-large desks, Wi-Fi and the Skyline Club Lounge for all executive-floor guests. The hotel also houses business and banqueting rooms, sauna, pool, and the wonderful AzzuR restaurant. 4 Buyükdere Cad. 0212 319 2929. www.moevenpick-hotels.com. 249 units. Doubles �190–350 (excluding breakfast). AE, DC, MC, V. Metro: 4. Levent. and AC, but no TV. Standard rooms are small, with two interconnecting rooms suitable for families and a good-value larger double. Friendly staff, with a superb buffet breakfast on the terrace, including homemade yoghurt and cake. Adliye Sok, Akbiyik Cad. 0212 458 6850. www.hotelpeninsula.com. 12 units. Doubles �40–55. MC, V. Tram: Sultanahmet. 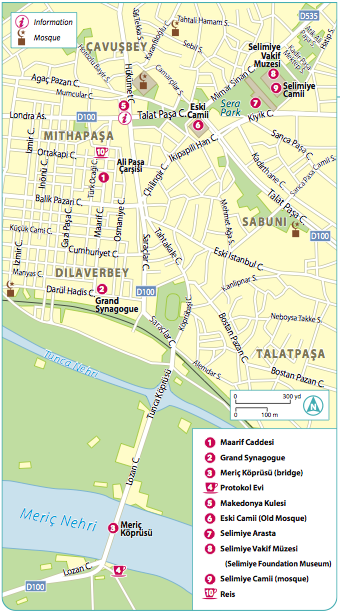 Opened in May 2008, this compact friendly hotel enjoys a great Beyoglu location. Contemporary rooms have lovely touches like bold patterned cushions and strong colors. With a small business center, meeting rooms, hamamand indoor pool, all rooms have Wi-Fi, kettle (very important!) and minibar, offering great value. Larger executive rooms are worth the extra. 103 Meşrutiyet Cad. 0212 243 8500. www.peratulip.com. 84 units. Doubles 100–200. AE, DC, MC, V. Bus: All buses from Taksim. The Ortaköy waterfront location is a real highlight, best enjoyed over breakfast on the terrace. Add good business facilities, meeting rooms, and Wi-Fi throughout, plus some rooms have a Bosphorus view. At weekends, ask for a room away from the nearby nightclub if you want to sleep. Mornings and weekends see traffic congestion. 46 Çiragan Cad. 0212 310 1500. www.radissonsas.com. 120 units. Doubles 180–360 including breakfast. AE, MC, V. Bus/boat: Ortaköy. tiny garden are worth the extra, perfect for a romantic trip. Breakfast is served on the flower-filled terrace. Free Wi-Fi (although no TV) and use of laptops, and obliging staff. Adliye Sok, off Akbiyik Cad. 0212 517 6623. www.sebnemhotel.net. 15 units. Doubles: �90–100. AE, MC, V. Tram: Sultanahmet. in the bar, plus Turkish cookery lessons. Guests have free use of small pool, hamamand the fitness center. 5 Taya Hatun Sok. 0212 528 4344. www.sirkecikonak.com. 52 units. Doubles 170–220. AE, MC, V. Tram: Sirkeci. the small meeting rooms and spa. 12 Başkurt Sok. 0212 243 3101. www.istanbulsuite.com. 14 units. Doubles 80–250. AE, MC, V. Metro/ bus: Taksim. splashed with contemporary art have extras ranging from large living/dining areas and small kitchenette, to comfy sofas. All have large TV and Wi-Fi, desks and fridges, some with balconies. Ask for a back room if you don’t want street noise. Istiklal Cad. y0212 245 0772. www.istanbulsuite.com. 19 units. Doubles 100– 160. AE, MC, V. Bus/Metro: Taksim. have Turkish baths. Kuleli Cad. 0216 422 8000. www.sumahan.com. 18 units. Doubles 90–320. AE, MC, V. Boat/bus: Çengelköy. The gleaming—and huge—palatial entrance sets the tone of this Leading Hotels of the World member. Spread over two huge wings, most rooms have Bosphorus views and luxurious touches like chaise longue and huge writing desk. The huge Amrita Spa and Wellness Centre is a big attraction, Istanbul’s largest with 16 different treatment rooms, outdoor pool and sun terrace for a really decadent stay (see Restaurants p 110). Bayildim Cad. 0212 326 1100. www.istanbul.swissotel.com. 600 units. Doubles 250–500. AE, MC, DC, V. Metro or bus to Taksim, then taxi. A cut above other hotels of similar price, this new hotel in a quiet side-street has large modern rooms, all with fridge, large sofa, and Jacuzzi. Grand suites (with fluffy bathrobes) have a sofa-bed and sleep three people. Flat-screen TV and large windows add to in-room comforts. Some higher floors have decent views; ask on booking. Doktor Eminpaşa Sok, Çatalçeşme Meydani. 0212 520 9130. www.tanhotel.com. 20 units. Doubles 05. AE, MC, V. Tram: Sultanahmet. shower. The Omar Suite has indoor andoutdoor Jacuzzis. Huge meeting rooms, a wellness center, small pool, and fitness room caters for all needs—plus two contemporary art galleries and the Longtable restaurant-bar. 123 Teşvikiye Cad, 0212 368 1818. www.thesofahotel.com.82 units. Doubles 200–800. AE, DC, MC, V. Minibus: Nişantaşi. decent-sized bedrooms with small living rooms and kitchenette, with basic cooker and fridge. Close to shopping, restaurants and nightlife, this is great value for money. Meşelik Sok, off Istiklal Cad. 0212 251 0101. www.triada.com.tr. 11 units. Suites 70. 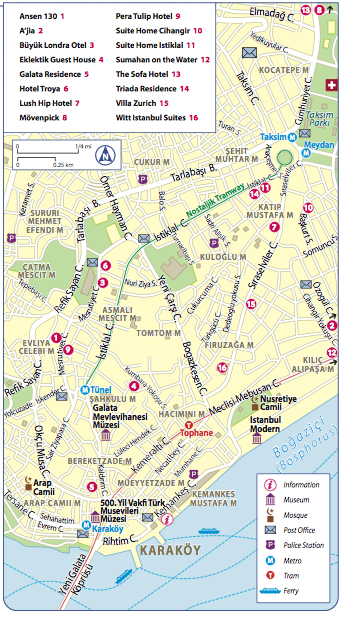 AE, MC, V. Bus, or tram/funicular: Taksim. This friendly and popular hotel in an charming residential neighborhood has newly renovated rooms in tasteful pale blues and creams, many with bath and Jacuzzi, with Wi-Fi throughout. Front-facing rooms have small balconies. Doga Balik restaurant (see p 109) is on the roof terrace. 36 Akarsu Yokuşu Cad. 0212 293 0604. www.hotelvillazurich.com. 41. units. Doubles 110–160. AE, MC, V. Bus/metro: Taksim. bathroom, with the Witt’s elegant floral motif on walls and furnishings. Sweeping views from the top-floor’s fitness studio deter any inclination to laziness. Defterdar Yokuşu. 0212 393 7900. www.wittistanbul.com. 15 units. Doubles 170–200. AE, DC, MC, V. Bus: Beşiktaş. antique furniture, although recent price hikes have meant its value for money is debatable. The standard double room is tiny and bathroom minuscule. Still, its green wooden exterior and garden are charming, and service is good. Kabasakal Cad. 0212 517 6786. www.istanbulyesilev.com. 19 units. Doubles 250–300. AE, MC, V. Tram: Sultanahmet. Hotels cluster around Sultanahmet and Beyoglu,poles apart in ambience and amenities, so your choice depends on priorities. If you prefer views of the Blue Mosque, vicinity to historical monuments and Ottoman houses on cobbled streets, Sultanahmet is for you. Just bring earplugs for neighboring mosques’ dawn call-to-prayer, be prepared for carpet touts and never-ending souvenir shops. If good restaurants and bars are important, head to Beyoglu, where Istiklal Caddesi buzzes all night. It’s easier to travel to Sultanahmet during the day than to travel back there after a night out in Beyoglu. Prices listed are the rack rate for high season (roughly mid-March to late October), including breakfast and tax, often 10–20% less for winter months. Top hotels usually have good deals on their websites or through booking agencies, and can be quieter in August, with fewer business visitors. You can also try phoning the hotel directly to ask for any special rates, especially out of season. 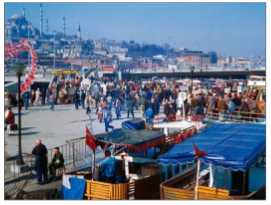 Hotels book up quickly and prices shoot up during !eker Bayram, the festival after Ramazan (see p 160) and major events—especially the Istanbul Grand Prix (see p 161).